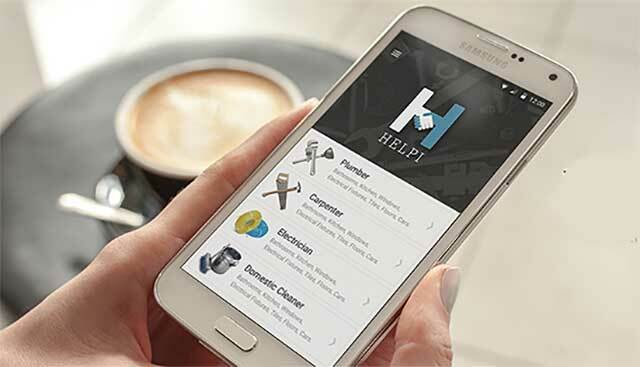 Home services startup HELPI, run by Handy Online Solutions Pvt Ltd, has raised an undisclosed amount of angel investment from a group of IIT alumni and investment bankers based in the US. "The current round was raised to build the product, team and test the hypothesis of time-based pricing and on-demand cleaning. We have a strong team of 15 people now across technology, operations and marketing," said Vineet Bansal, co-founder, HELPI, in a statement. The company, which currently offers its services in Gurgaon and parts of Delhi, is planning to enter five more cities next year, and add verticals such as car cleaning, and maid-on-demand to its services portfolio. HELPI was founded by Bansal along with Sariputra Waghdhare and Piyush Peshwani in July this year. All three are are alumni of IIT Bombay. Bansal worked with Bluecrest Capital in New York prior to launching HELPI. Waghdhare has been a full-stack developer for nine years and handles technology at the startup. Peshwani has been a technology and process consultant for more than a decade, and was a core team member in the UID (Aadhaar) project. The Gurgaon-based startup provides standardised home cleaning services. Domestic cleaning professionals register themselves on the app, and post verification, they undergo training that is disseminated digitally. Users can then avail the services of these professionals via the app, and provide feedback for the same. The services are priced at Rs 149 per hour, and the average ticket size for the company is Rs 250. In the home services marketplace, Housejoy, run by Sarvaloka Services On Call Pvt Ltd, has raised Rs 150 crore in a Series B round of funding from a group of investors led by e-commerce giant Amazon. Delhi-based UrbanClap Technologies India Pvt Ltd had raised $25 million in its Series B round of funding last month from Bessemer Venture Partners, Accel Partners and SAIF Partners. Tata Sons' chairman emeritus Ratan Tata has made an undisclosed personal investment in UrbanClap. Other competitors include LocalOye, UrbanPro and Qyk among several others, many of whom have also raised early-stage funding. All these firms are competing with public-listed Just Dial, the biggest online local business search directory in the country.